Home Tutorials Archive by Category "Premiere Pro"
Join Daniel as we go through adding motion to the 3rd installment of this lower third creation series—made totally in After Effects, no outside programs! 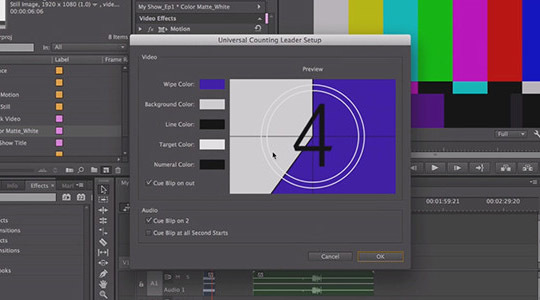 Get organized, work fluidly (yeah, not the words most video creatives want to hear) Simple steps to keep you on track using markers in Adobe Premiere. Daniel helps remove the mystery behind Dynamic Linking, and shows you how easy Dynamic Linking can be between Adobe Premiere and Adobe After Effects. There are many options and settings for exporting video files from Premiere Pro. Daniel explains the options and gives his recommendations for various projects to clear up some of the confusion.